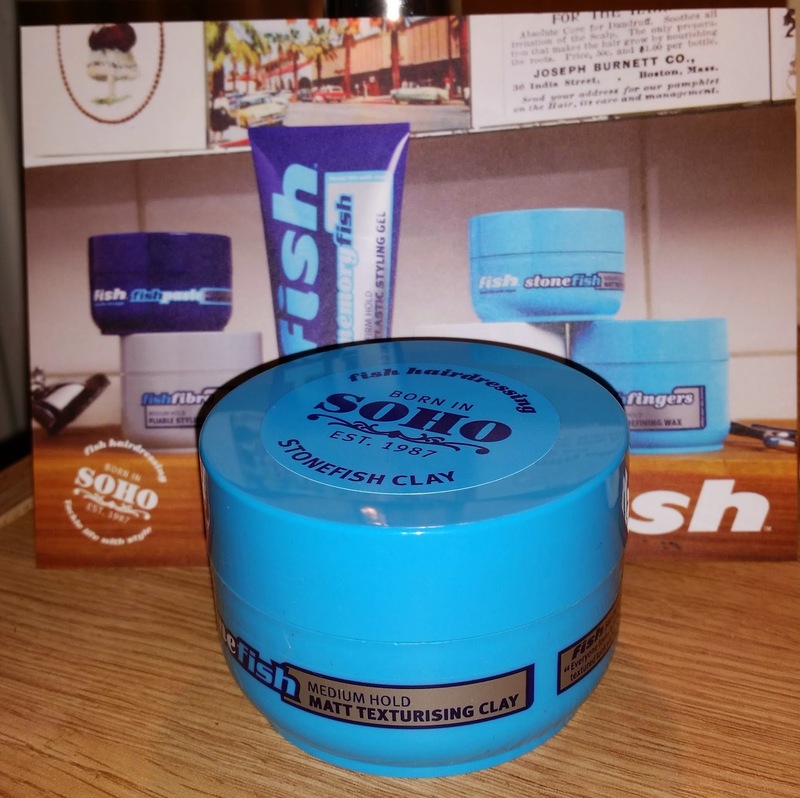 I was sent the Fish products to review and see what i thought of them. 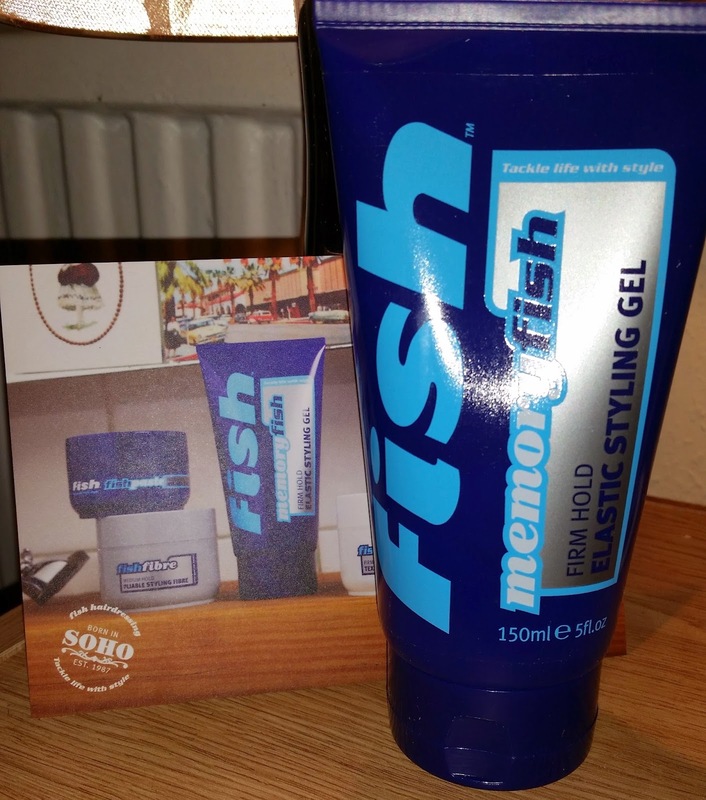 Fish is a leading men's hairstyling range, including hair wax and men's hair gel. 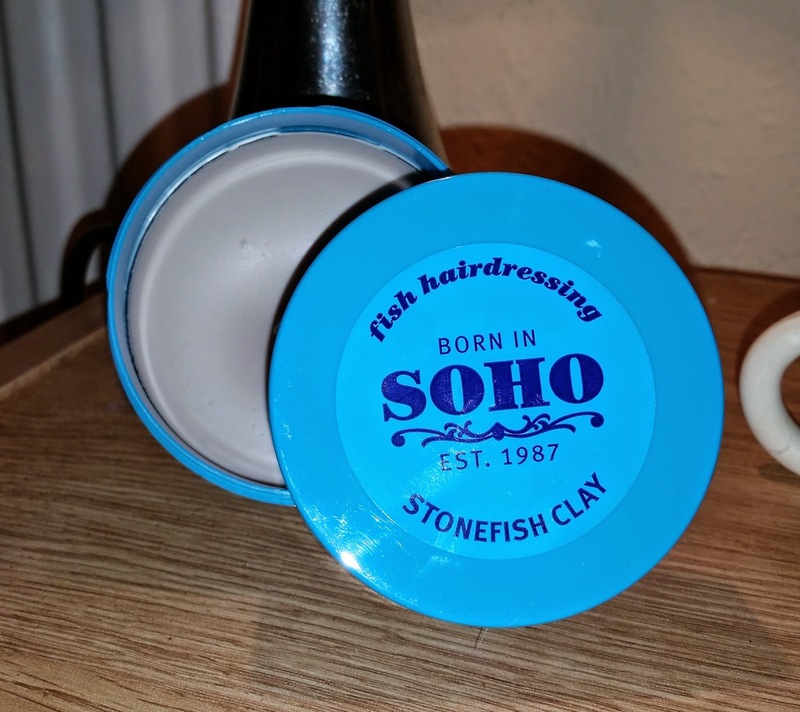 All products are developed with the Fish salon in Soho, London. They also have a styling page with helpful tips if you need some help. 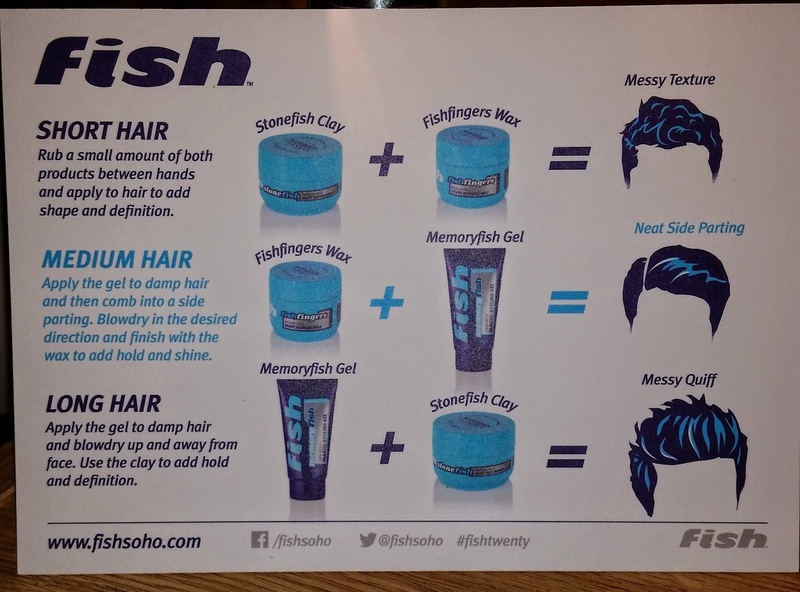 After receiving the Fish Classic long hair pack, i eagerly opened the box to see what products i had received. The products are well branded with there logo on the lids and sides of the products. With this particular product there is clear description of how to use on the peel label. Rub a small amount of clay between palms, then work through dry or towel dried hair to create a roughed up style. This is helpful so u know what to do rather than open the pot and hope for the best. You also do receive a hair salon card to help you figure out which products are suitable for your length of hair. The pot is blue and 70ml with a screw off and on lid. You can for sure smell this product when opening the lid and when u also rub through hands to work into hair. It is quite a pleasant smell and not too over powering. Reminds me of a coconut smell. This product holds any style lasts through out the day. Easy to wash out and doesn't leave hair feeling tangled or damaged. Overall this is a great product to use and would recommend. Apply a small amount of wax between hands and massage evenly through dry or towel dried hair. To avoid flatness .Do not apply to roots. The pot is blue and 100ml with a screw off and on lid. You can for sure smell this product when opening the lid and when u also rub through hands to work into hair. It is quite a pleasant smell and not too over powering. Reminds me of a fresh clean scent. This product holds any style and lasts through out the day. Overall this is a great product to use and would recommend for wax addicts! With this particular product there is clear description of how to use on the back. Work a pea sized amount between palms and apply to dry or towel dried hair from root to tip then style. This is helpful so u know what to do rather than trying to figure out how how to use it.. The tube of this is dark blue and is 150 ml. You can for sure smell this product when opening the lid and when u also rub through hands to work into hair. It is quite a pleasant smell and not too over powering. Reminds me of a fresh clean scent. This product claims it has memo-elastic technology with bounce back effect. So i put it to the test by wearing a hat and also if my hair would still be the same style after it had poured down with rain..... the truth .... it did! this does actually work! Overall this is a great product for any styling addict that wants to keep there style all day ! 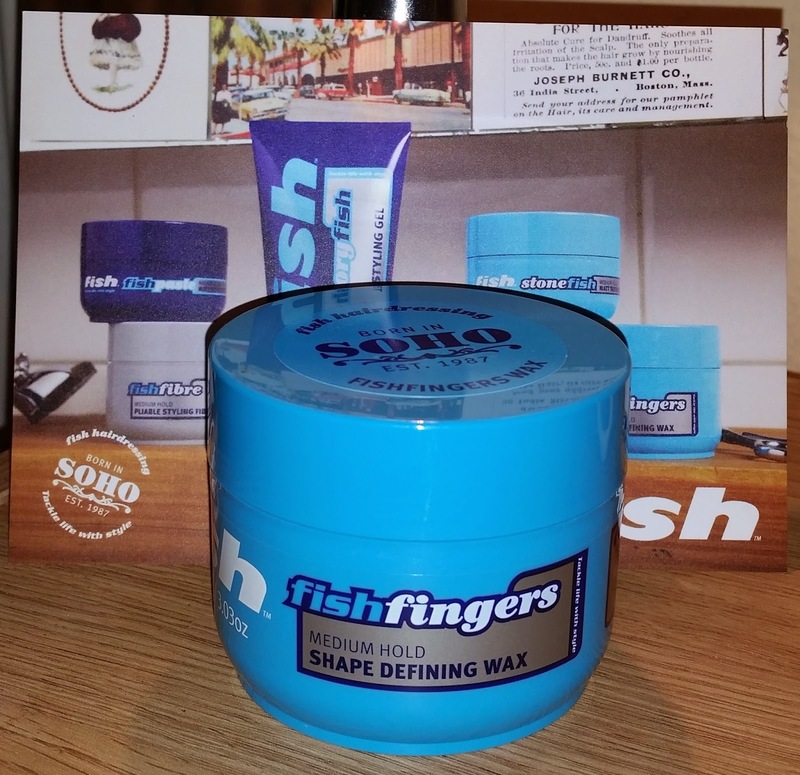 So if your looking for some great hair products, that smell great, do exactly what they claim to do and come with some quirky nicknames be sure to pick up the FISH BRAND. I was sent these products from www.BzzAgent.co.uk to review and i was never paid to do this #IGotItFree. If you are looking to review products then you might be sent something when you sign up.